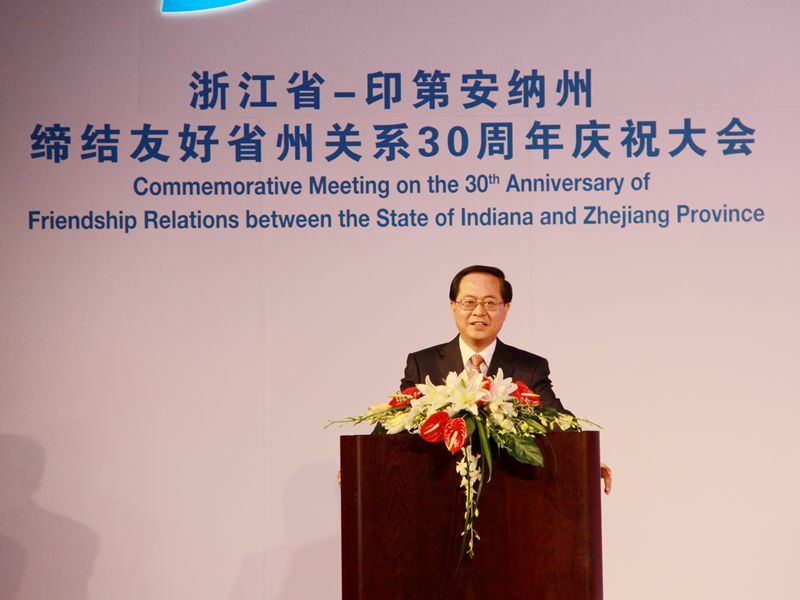 On August 24, the Commemorative Meeting on the 30th Anniversary of Sister Province-State Relations between Zhejiang Province and the State of Indiana was held at Indiana Convention Center in Indianapolis. 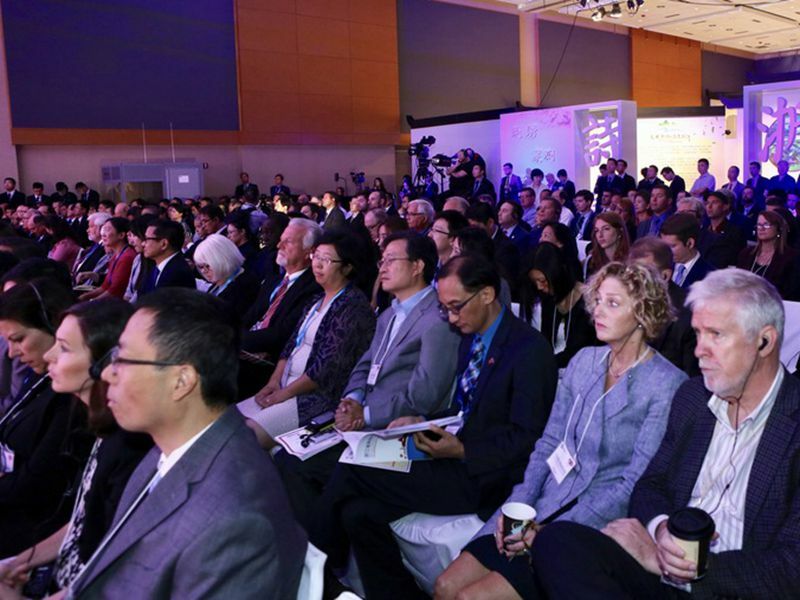 The Secretary of Zhejiang CPC Party Committee and Chairman of the Standing Committee of Provincial People's Congress Che Jun, Governor of Indiana Eric Holcomb, Consul General Hong Lei, Secretary of Indiana Economic Development Corporation Jim Schellinger, delegation of Zhejiang Province and over 300 participants from all walks of life in Indiana attended the meeting. U.S. Vice President and former Indiana Governor Mike Pence sent a letter of congratulation to Secretary Che Jun for the 30-year sister state/province friendship. In the letter, Pence says that Indiana and Zhejiang have had in-depth cooperation in economy, culture, education among others areas in the past 30 years and achieved fruitful results developed friendship with far-reaching impact. He is pleased to be a witness of this time-tested relationship. 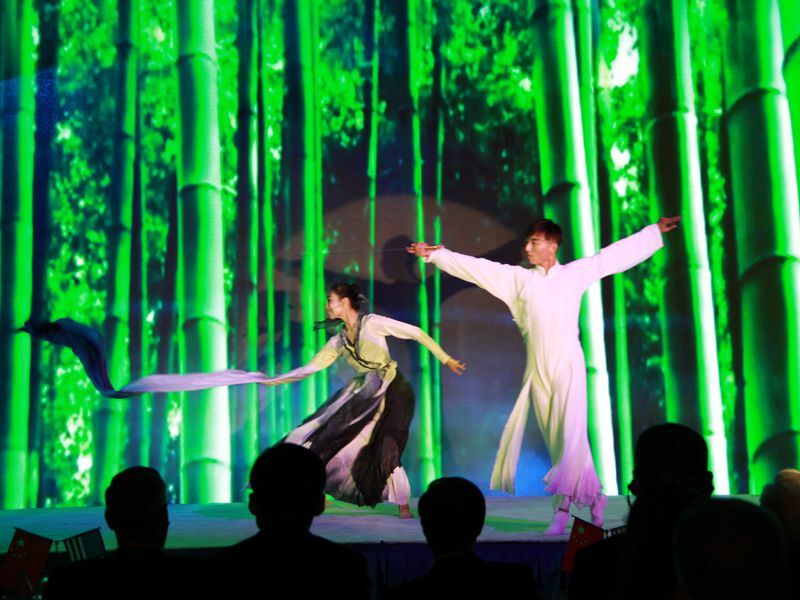 Today, the world is increasingly interconnected and the friendship between Indiana and Zhejiang will further promote the development of U.S.-China relationship. 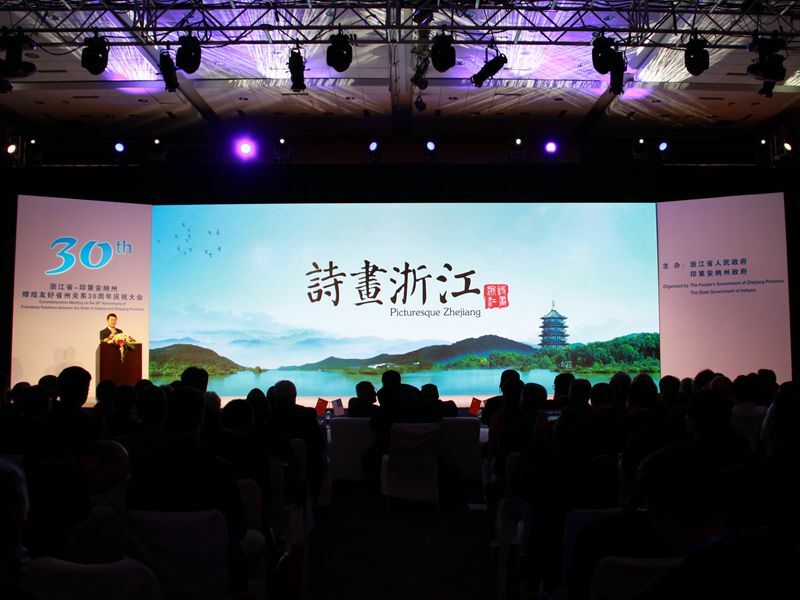 Secretary Che Jun said in his remarks that 30 years ago, Zhejiang and Indiana signed the agreement on establishing sister province/state relationship and thus planted the tree of friendship. Today the tree is deeply rooted and lush, bearing countless fruits. By far, more than 20 cities and counties in Zhejiang and Indiana have established sister-city relationship and over 100 primary and middle schools have become sister-schools. Our enterprises have maintained cooperation on different levels and more and more Zhejiang companies have made Indiana their top destination for American investment. 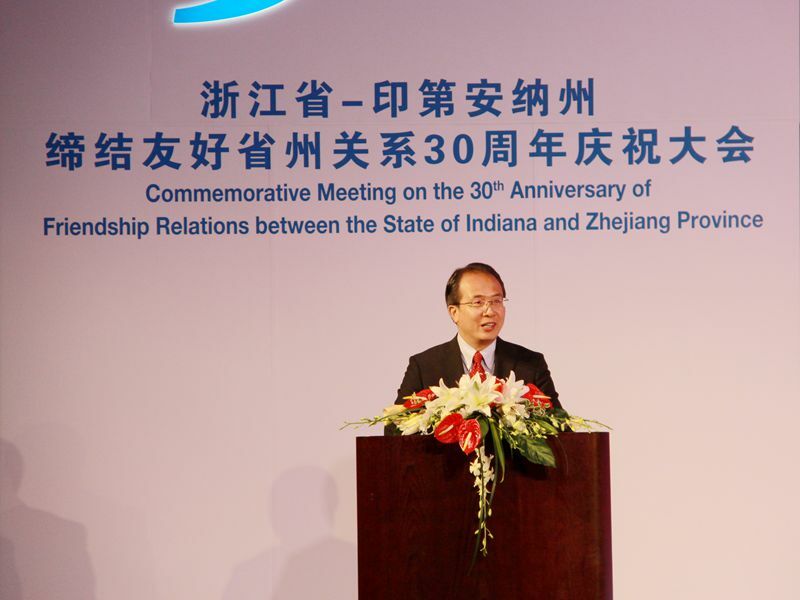 Secretary Che Jun hopes that on the occasion of the 30th anniversary of Zhejiang-Indiana sister province/state relationship, the two sides can further explore their respective potential, promote economic and trade cooperation and enhance people-to-people exchanges so as to solidify the foundation of friendship and create a new era featuring mutual benefit, win-win results and common development. 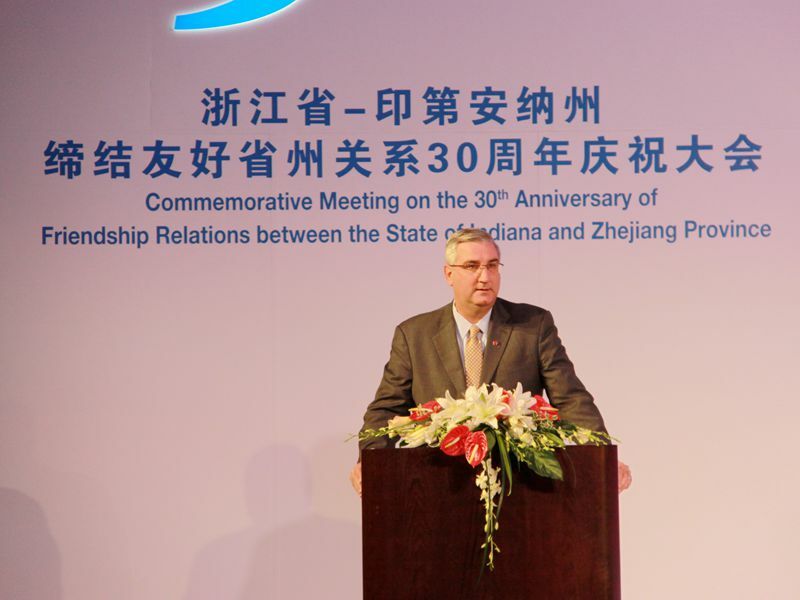 Governor Eric Holcomb said that it is his great pleasure to celebrate the 30-year friendship between Zhejiang and Indiana with Secretary Che Jun. Since the establishment of this relationship, economic and trade cooperation between the two sides has been booming rapidly and people-to-people exchanges have become more frequent. The friendly cooperation with Zhejiang has played a significant role in facilitating Indiana’s economic development. As the cooperation with China keeps deepening, many companies from Zhejiang and other places in China have invested in Indiana and nearly one thousand jobs have been created by their investments since 2010. Indiana always adheres to opening-up policy and boasts top-notch business environment, investment policies and high-quality workforce in the Midwest, which makes it one of the best locations for Chinese investments. Indiana will continue to enhance communication and cooperation with Zhejiang in various fields to push the partnership to a new level. Consul General Hong Lei expressed his warm congratulations on the 30th anniversary of Zhejiang-Indiana sister province/state relationship. He said that as China’s “Land of Fish and Rice”, Zhejiang enjoys a long history, robust economy and splendid culture. Indiana is the crossroad of America with advantages in location and diversified economy and culture. The two sides have their individual edges and have a lot to learn from each other. 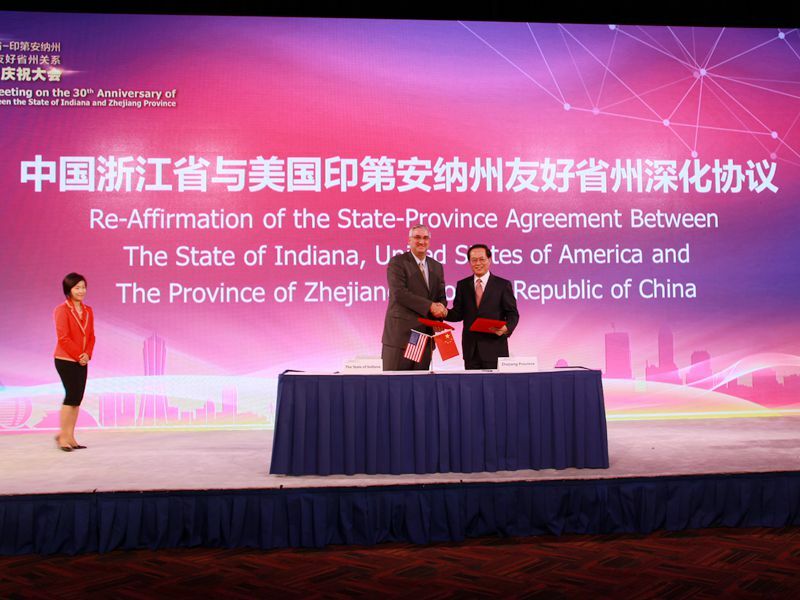 In the past years, Zhejiang and Indiana have had close exchanges. Top-level interactions have been leading the development of the sister province/state relationship. 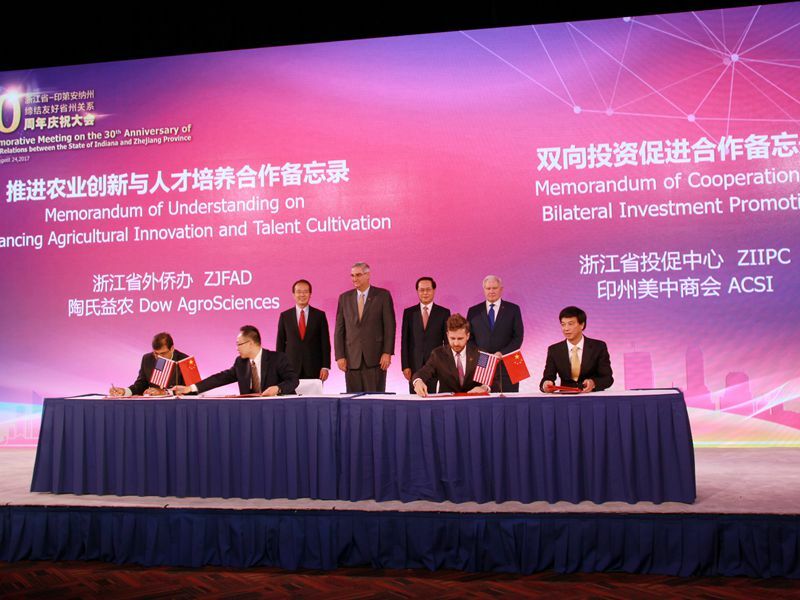 Trade and investment cooperation has brought mutual benefits and win-win results. Cultural and people-to-people exchanges have built a bridge of friendship, which reflected the good momentum of China-U.S. sub-national cooperation. In 2017, President Xi Jinping and President Trump have had two meetings at Mar-a-Lago in Florida and the G20 Hamburg Summit respectively and had in-depth exchanges on China-U.S. relationship and major international and regional issues of common concern, which provided guidance for the relationship between our two countries. Healthy and steady development of China-U.S. relationship will create more favorable conditions for our sub-national cooperation and exchange. He hopes that Zhejiang and Indiana can jointly promote their sister province/state relationship and make more achievements in the next 30 years. 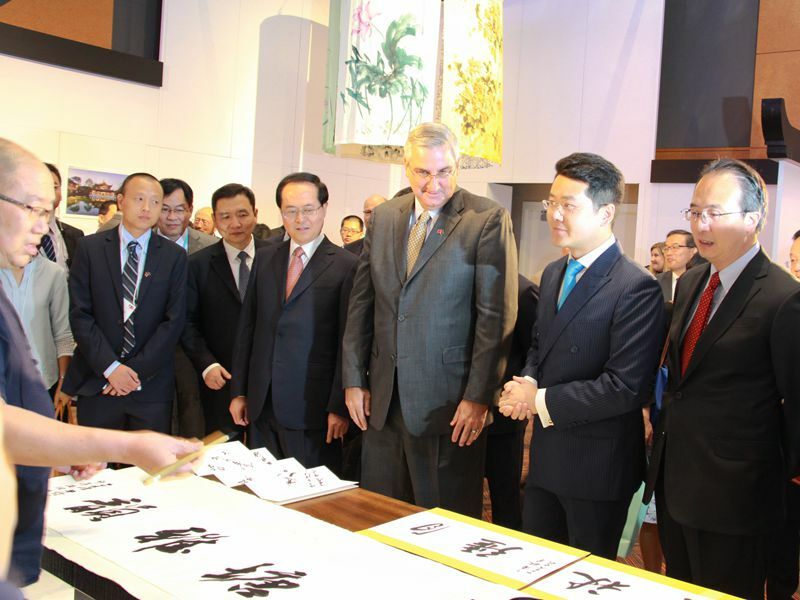 During the celebration, Secretary Che Jun and Governor Holcomb signed the re-affirmation of the Province-State Agreement, witnessed MOU-signing between Zhejiang and Indiana enterprises and institutions, watched a video showcasing Zhejiang’s scenery with art performances and visited the “Picturesque Zhejiang” exhibition that reviewed the 30-year exchanges between Zhejiang and Indiana. They also met with entrepreneurs from both sides at the Zhejiang-Indiana Commerce Seminar. 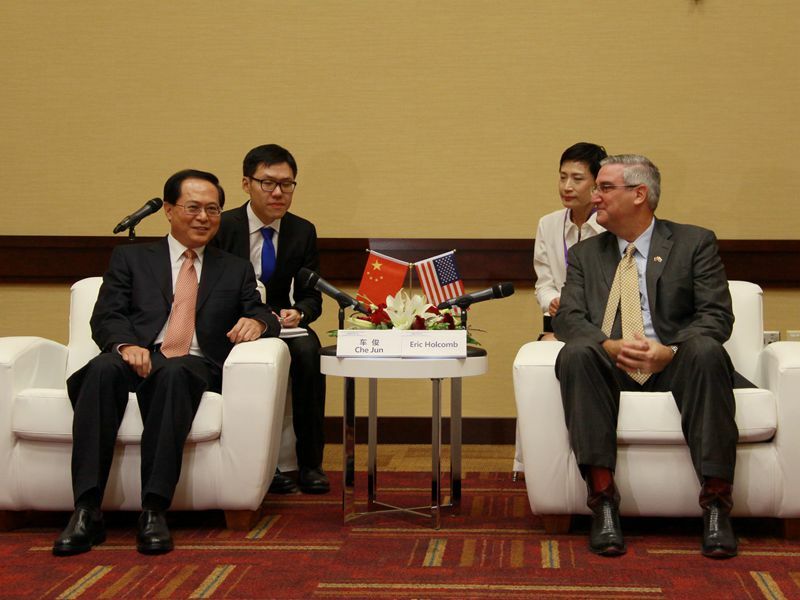 Prior to the event, Secretary Che Jun and Governor Holcomb had a brief meeting and exchanged opinions on deepening province-state communication and cooperation. On August 23, Consul General Hong Lei accompanied Secretary Che Jun to meet with Governor of Illinois Bruce Rauner in Chicago. Secretary Che Jun spoke highly of the friendly relationship between Zhejiang and Illinois, expecting the two sides to expand cooperation. Secretary Che Jun also invited Governor Rauner to visit Zhejiang. 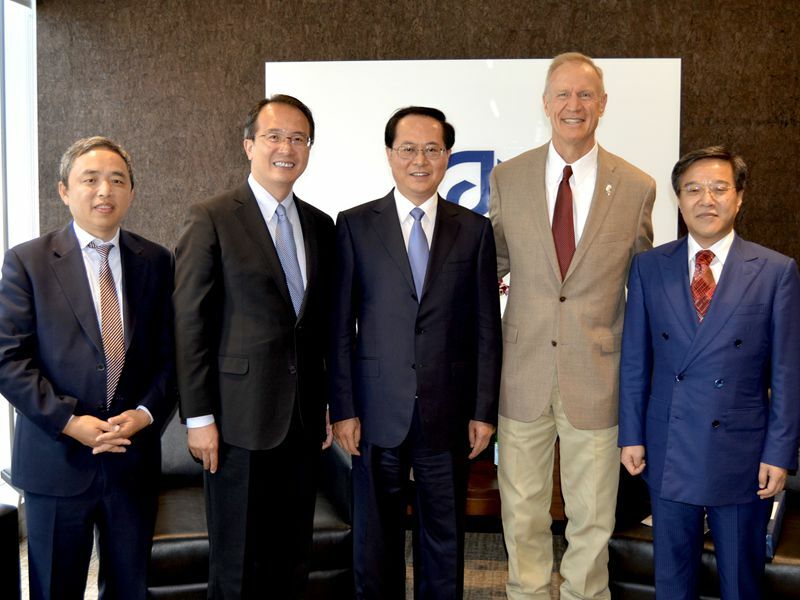 Governor Rauner said that Chinese companies from Zhejiang, such as Wanxiang Group, are good partners of Illinois. He hopes to have more cooperation with Chinese provinces and looks forward to visiting Zhejiang in the near future. While in Chicago, Secretary Che Jun also met with chairman of the board, president and CEO of Boeing Dennis Muileburg and visited Wanxiang America. 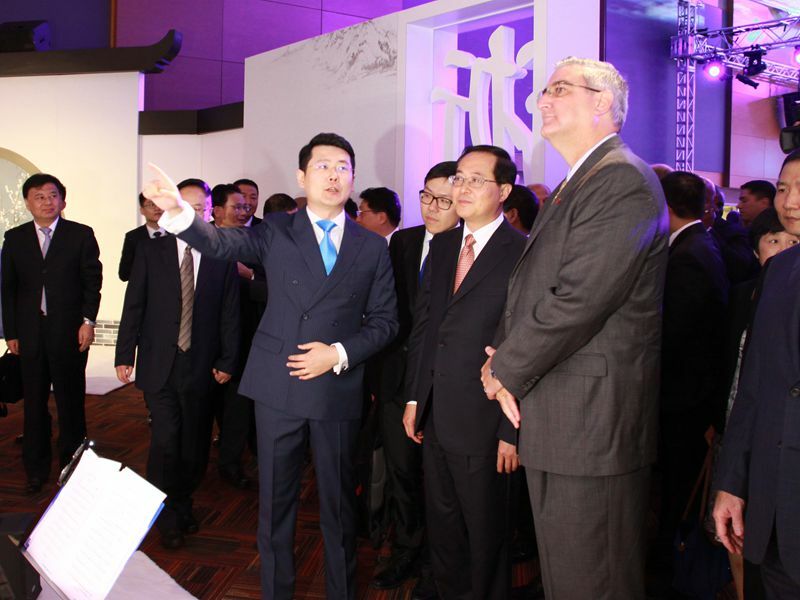 · Consul General Hong Lei Attended the Inauguration Ceremony of the "Two Associations"